Henry T. Smith Co., Inc. Co.
With factory trained and CFESA certified service technicians, HTS offers an extensive parts inventory to provide quality service to the Memphis and tri-state area. 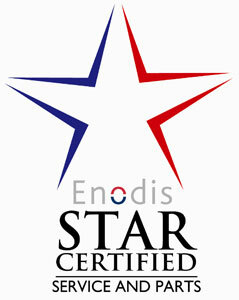 We are an authorized parts distributor for many major food industry factories and are pleased to be an Enodis Star Certified service and parts agency. We proudly support the Commercial Food Equipment Service Association and the North American Association of Food Equipment Manufacturers.